So today started with a call from Aetna. Did I understand the nature of their recent letter? As in they are cancelling my current plan at the end of this year so I will have to choose a new one? Yes. The customer service representative who placed the call was super pleasant but I am still not pleased that I have to ride the choose-a-plan-merry-go-round again with Aetna after last year’s horror show. Then I continued to go about my day and the mail arrived. In it was a copy of a book I participated in called Surviving Beautifully by Victoria Tillotson and Lana Koifman . YAY!!! After all their years of hard work, here it is! 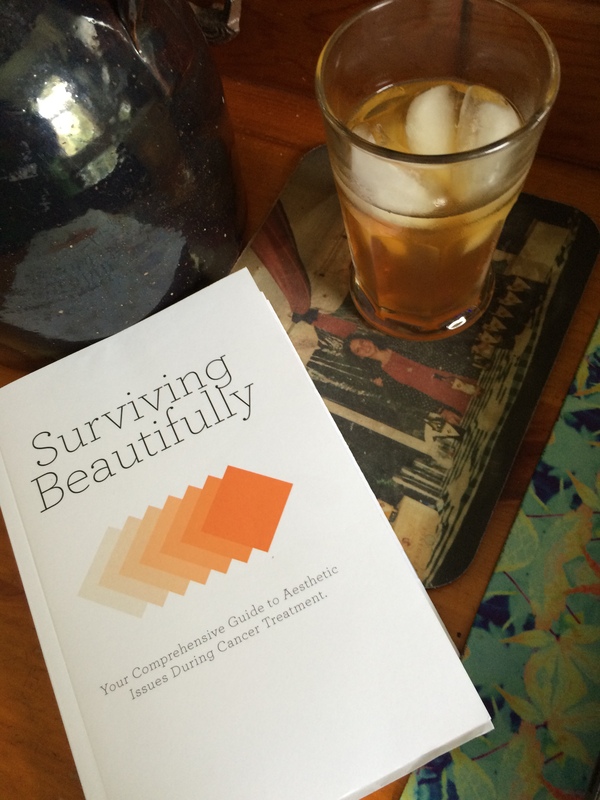 Anyway you can buy the book Surviving Beautifully on Amazon. You can buy the paperback as I did, or get a Kindle edition. Getting through breast cancer is no small feat. It is hard and what we go through as women on any number of levels can be more difficult than we ever let on. Simple things like how you feel or how your hair feels even if it isn’t falling out are huge to those of us who have gone through treatment. You have no idea how blah or unattractive you can feel until you have gone through breast cancer treatment. It strikes at the core of our femininity like an itch that can’t always be scratched. And me personally? I felt guilty and still do every time I deal with any of these feelings. I feel guilty because I am alive to complain, so that leaves me conflicted at the same times when I feel like crap for whatever reason. This book is a nice practical, sympathetic, educational, and real voice in the wilderness of breast cancer books. I believe in the authors and Victoria in particular has been a supportive friend to me throughout my journey. I will close by saying I wish this book and The Pink Moon Lovelies: Empowering Stories of Survival by another dear friend Nicki Boscia Durlester (which I also participated in) had been available to me when I was beginning this journey. I participated in both of these book projects as a result of my cancer because I believe in paying it forward to those who come after me. Let me be abundantly clear however: I do NOT profit in any way from either of these books. I am a part of each project because they are terrific and I believe in the authors and their mission to better the lives of cancer patients, especially breast cancer gals. This entry was posted in breast cancer and tagged Amazon.com, Beyond The Pink Moon, chic metal, Lana Koifman, Nicki Boscia Durlester, Surviving Beautifully, The Pink Moon Lovelies: Empowering Stories of Survival, victoria tillotson. Bookmark the permalink.